The 13 October 1903 edition of the Daily Examiner newspaper reported that the new water pumping station had been established on the Lower Malpeque Road. 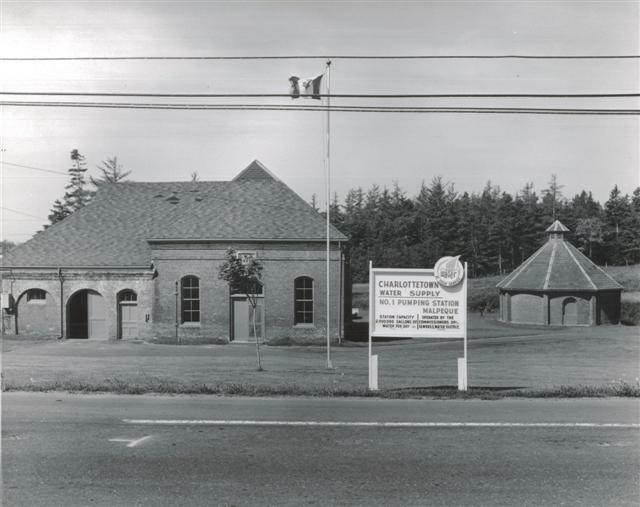 The City’s first pumping station was the Charlottetown Water Works on the Malpeque Road. As water consumption by city residents increased, it was deemed necessary to construct an auxiliary pumping station below Gates Pond. The pumping station was in operation for a number of years, however it was later declared surplus and decommissioned. A number of other pumping stations were developed as new water sources were required. Brackley Pumping Station was established in 1930. The water supply was so low that the City’s Water Department placed an ad in the newspapers explaining the necessity of water conservation. Only nineteen years later, in 1949, it was deemed necessary to establish the Union Pumping Station. 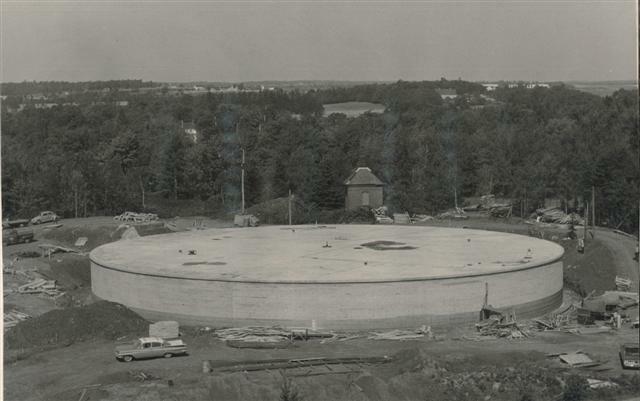 In 1994, one year prior to amalgamation of the City of Charlottetown, the Suffolk Pumping Station was constructed. In the 1960s, it was decided that in order to strengthen the water distribution system for fire protection, a new reservoir needed. The site originally recommended by Pitometer Associates, who conducted a survey of Charlottetown water system in 1961, was Hillsborough Square! However, it was ultimately decided to build next to the older reservoir on the Mount Edward Road. The reservoir was designed by the Water Department and the tender for construction was granted to the Canada Gunite Company who did the gunite coating and the prestressing. Williams Murphy and MacLeod Limited was subcontracted to work on the concrete structure and Douglas Brothers and Jones Limited worked on the piping.